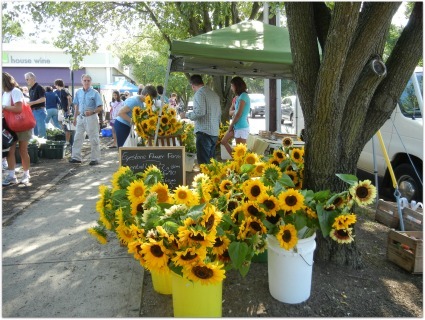 It looked like the Sunflower crop came in this morning at the Worthington Farmers Market. This was on the corner north east corner of High St. and New England Ave. Previous post: Columbus: Are you ready for some football?